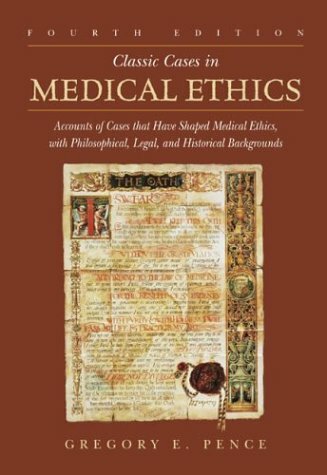 This collection looks at major cases that have defined and shaped the field of medical ethics. Each case is illuminated by discussion of pertinent philosophical theories and legal and ethical issues. This 4th edition includes new chapters on embryo research and stem cells, reproductive cloning, and AIDS. Reproductive Cloning: Should We Clone Humans? Reforming the American Medical System: Expanding Medicare?